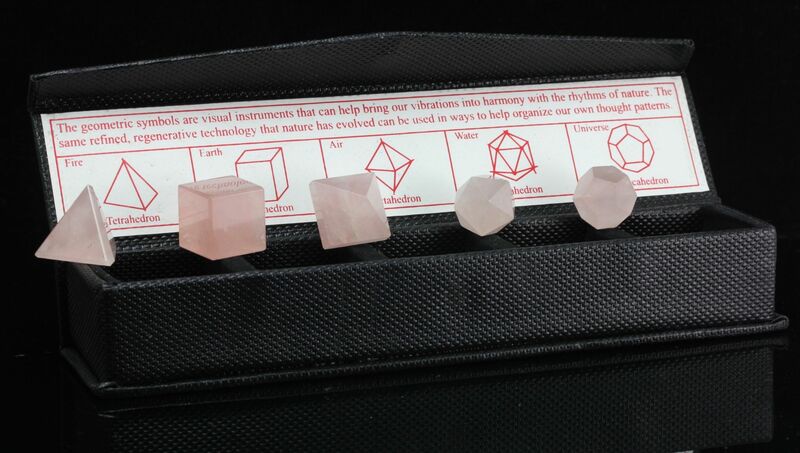 Platonic Solids (Sacred Geometry) Set of 5 Rose Quartz crystals in a with presentation box. 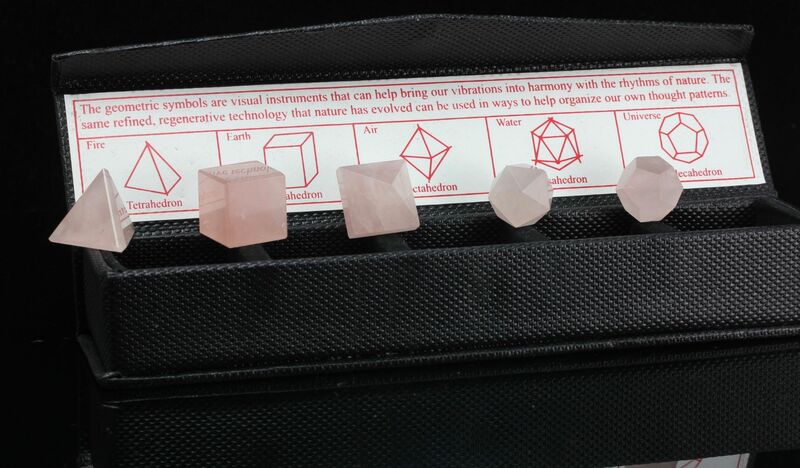 In geometry, Platonic solids (sacred geometries) are the only geometric shapes with the same number of sides meet at each vertex with the same angle. 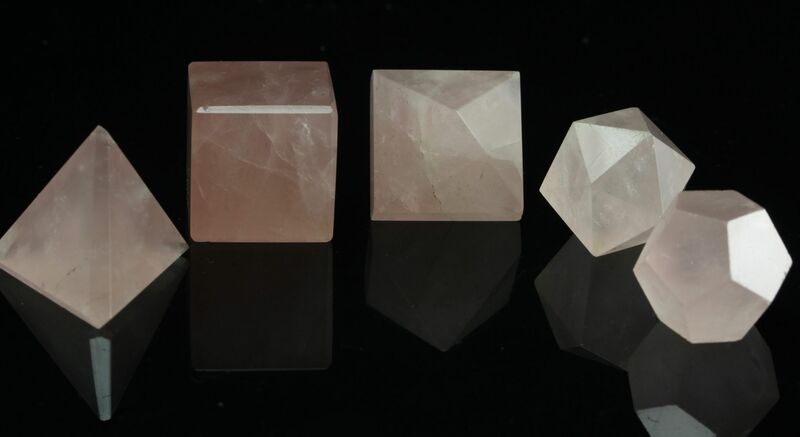 The aesthetic beauty and symmetry of the Platonic solids (sacred geometry) have made them a favourite subject of geometers for thousands of years. 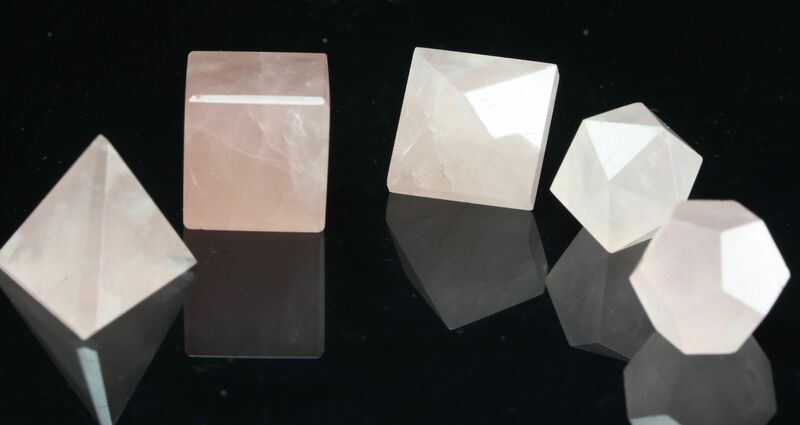 They are named for the ancient Greek philosopher Plato who theorized that the classical elements were constructed from the regular solids. Icosahedron with 20 faces, is associated with Water. Sacred Geometry is an instrument of dialog between man and god, permitting us to find unity inside nature’s diversity it provides complete understanding and experience to consciously shape our future and accelerate the ascension process, they show us how to open our heart and evolve the consciousness through models.